The Shirogane clan managed to live in the border of the Land of Wind. They were a small clan and have no skilled ninja. Trying to find a source of power to compensate that, they created puppet walkers. Wielding an army, they survived the Shinobi Wars. But a dark secret was exposed: to develop the puppet walkers, they abducted humans and experimented on them. The puppet walkers were outlawed, causing the clan start a rebellion against the Five Great Nations and being annihilated. They were the developers of the Master Puppet, the ultimate puppet walker who have power to destroy nations. But an unexpected event happened: it had its own will. And fearing its immense power, and the prospect that the puppet might one day rebel against its creators, the Shirogane sealed the Master Puppet away into the five Spirit Orbs. The Master Puppet was about to be revived during the rebellion, but the clan was squashed before they could do so. The last survivors hid the Spirit Orbs on the Five Great Nations swearing revenge, and disappeared. The Shirogane were said to be comprised of ninja with meager skill compared to the other existing shinobi clans. However, they were highly proficient in the puppet-making arts, as it was their apparent inferiority that led to them developing the Puppet Walkers. These Puppet Walkers are superior to normal puppets in general since they can operate without a nearby puppeteer as they can be manipulated from a distance, and are capable of getting up after receiving multiple hits from the opposition. The Shirogane Three, a trio of the clan's survivors bent on reviving the Master Puppet, and use it as the trigger for clan's revival, were all skilled puppeteers, able to control their puppets in such a way that they could not only copy a target's appearance, but also near-accurately mimic the skills of their targets. The most commonly encountered form of Puppet Walker. They have a head that resembles that of Black Ant, long thing arms with three bladed fingers on each hand, a box chest with a technique formula at its centre with the kanji for "cut" (斬) in it, a thin spine connecting their chest to their hips and legs clad in black, tattered trousers. They attack primarily with their claws, spinning on the spot or diving at their targets. This variant is seemingly intended for destroying enemy bases. It has a thinner head than the standard Puppet Walker, resembling more the droid army from Star Wars. A thinner chest and similar arms to the standard model, but without the claws. On their backs are large, red discs with a technique formula on them. They possess the same spine as the standard walkers, but with thinner legs and no articles of clothing. They attack primarily by igniting themselves and charging at their opponent or tackling them to the ground. The last of the main three walker variants, these Puppet Walkers appear more solid than the other models. They have broad, bull like heads complete with horns. They have stronger defined shoulders with thick forearms compared to the others with metal spheres instead of hands. While their chest section is similar to the standard Puppet Walker with the "shoot" (射) kanji at its centre, they have a waist section connecting it to their hips. They attack by firing orbs of lightning at their target from a distance or with boxing like melee attacks when in range. 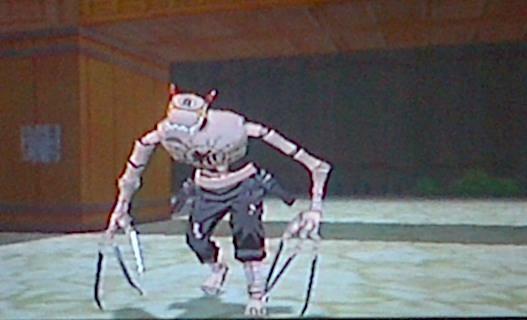 The Master Puppet was a sentient puppet created by the Shirogane clan using forbidden techniques. It was about to be revived with the five orbs during their rebellion, but the clan was squashed before they could do so. It was sealed, due to the destruction of the Shirogane clan, with three survivors, Ibushi, Menō, and Gandō, who were trying to find and use the five orbs to revive the Master Puppet. According to Kankurō, the Master Puppet was powerful enough to destroy all five nations. The Master Puppet was capable of controlling living beings by possessing their body, and used this method to control Naruto. The master puppet also used this ability to control Ibushi, even after his death, stating that Ibushi had only enough time for this final use. In the initial battle, it displayed the ability to utilise the power of the spirit orbs to attack in a variety of manners including lightning strikes from above its opponent using its blue hand, energy orbs which home in on its enemy and explode on contact from its yellow hand, trails of explosions along the ground when slamming down its red hand and a large orange sword wielded in its green hand. After releasing the spirit orbs from its body, the Master Puppet continues to use their powers, as well as launching spiked mines from its brown face. After losing four of the spirit orbs and swapping to its white face, its power becomes more pronounced as it begins to use larger, more destructive attacks including spinning to create a blast of wind to throw off attacks, creating pillars of earth around it, swapping to one of its two bird-like heads and spewing dark purple energy whilst creating a vacuum with the spirit orb at its core to draw in targets as well as launching flash bombs. At some point, it will use the pink spirit orb to create a repulsive force, keeping Naruto and the others from attacking while regenerating its entire health bar, although not restoring the broken spirit orbs. It is at this point it uses its most devastating attack. A jutsu formula appears on the floor and a barrier radiates from the Master Puppet. If it makes contact with a character, they will be frozen in place while it launches the spikes from its ring at them, impaling them from all directions before a launching its sword as the finishing blow. This is a guaranteed fatality to a character. Members of the clan possess great physical strength and are able to quickly convert calories into chakra, which they then use in their various secret techniques. Most of these techniques rapidly consume the user's chakra during use, and maintaining them during a prolonged battle can be tiring. For this reason the Akimichi have high chakra levels and eat a lot in order to build up or replenish their chakra reserves. As a tribute, members of the clan wear the kanji for "food" (食, shoku) on the their clothing. If standard calories aren't enough for a battle, Akimichi can use the clan's Three Coloured Pills to convert excess fat into chakra, at the cost of one's health. Many Akimichi use a bō as their choice of weapon. These staffs have the ability to lengthen in proportion to their wielder's size. These weapons also have small appendages at the top of them. The Akimichi clan has a special relationship with the Nara and Yamanaka clan. For generations, members of these three families have formed "Ino–Shika–Chō" trios, named after the first part of the names of the members with the Akimichi members being the "Chō" in the trio. To strengthen the unity between the three clans, a member of the Sarutobi clan will give them special earrings to present to each generation head when they are promoted to chūnin after which they will swear their oaths. The earrings also symbolise that they are considered adults by their respective clans. See Kekkei Genkai/ Jutsu list thread 3rd post. They have kept a book with medicine preparations and effects for generations which imply they are skilled in the area of medicine. Among the medicine described in this book are the secret pills used by the Akimichi clan. The Nara clan has a special relationship with the Akimichi and the Yamanaka clan. For several generations, members of these three families have formed "Ino–Shika–Chō" trios, named after the first part of the names of the members with the Nara members being the "Shika" in the trio. To strengthen the unity between the three clans, a member of the Sarutobi clan will give them special earrings to present to each generation head when they are promoted to chūnin after which they will swear their oaths. The earrings also symbolise that they are considered adults by their respective clans. In the anime, it was revealed that the Nara clan also has a research facility with an abundance of medicines stored in it. It is located deep in the mountains, and thus has little security. Mizuki raided this laboratory for ingredients for his cursed seal. The members of this clan specialise in mind-centred techniques which makes them experts at intelligence gathering and espionage. They have also displayed sensory abilities and their techniques include transferring consciousness, reading minds and communicating telepathically. The Yamanaka clan has a special relationship with the Akimichi and Nara clan. For generations, members of these three families have formed an "Ino–Shika–Chō Trio", named after the first part of the names of the members. The Yamanaka members are the "Ino" in the trio. To strengthen the unity between the three clans, a member of the Sarutobi clan will give them special earrings to present to each generation head when they are promoted to chūnin after which they will swear their oaths. The earrings also symbolise that they are considered adults by their respective clans. Not much is known of this clan but to strengthen the unity between the Akimichi, Nara, and Yamanaka clans, it has become a tradition that a member of the Sarutobi clan give each of the members of the current Ino–Shika–Chō trio special earrings when they swear their oaths. Several members were also seen during the Fourth Shinobi World War in the battle against Madara, Obito Uchiha, and the Ten-Tails. They used the Fire Release: Great Flame Technique to quickly dry the quicklime which was covering the beast. The Sarutobi are famous for their high willpower, and exceptionally strong shinobi. All the members which have been shown fighting — with the exception of Konohamaru who has only done so in the anime have displayed the ability to use Fire Release nature transformation. The members of this clan seem to be able to easily master high-level techniques, as Hiruzen became revered as the "God of Shinobi", and Konohamaru managed to learn A-rank techniques, such as the Rasengan, at a young age. While not much is known of the clan's background, they are considered to be one of the most, if not current the most powerful clans in Konoha. Their notoriety and prowess stretches far and wide leading others to both praise, and covet their abilities. During the Fourth Shinobi World War, a Kumo-nin noted that they had a hard time against them during a previous war. The clan is separated into two parts, the main house (宗家, Sōke) and the branch house (分家, Bunke), a system that protects the secrets of the Byakugan from outsiders. The main house runs the family while the branch house protects it. The members of the branch house are branded with a cursed seal upon the third birthday of the heir to the main house. This seal gives the main house members absolute control over the branch members, because they can destroy the branch members' brain cells with a simple hand seal, or cause them great pain to punish them. This seal also makes sure the secret of the Hyūga's Byakugan is safe, because it seals the Byakugan after the wearer of the seal dies. Because they are essentially servants, simply because of their birth order or heritage, some branch house members are hostile to those of the main house. In the past, there have been several attempts on the part of Kumogakure to acquire the dōjutsu of this clan. This even culminated in the death of the would-be-thief: the Head Ninja of Kumogakure and the demands of Hiashi's corpse who had killed him according to the stipulations in the peace treaty that the two villages had signed. Ultimately, Hizashi was the one to sacrifice his life for the village and clan, sealing away his Byakugan as he died and avoiding war. This event would become known as the Hyūga Affair. The Hyūga are renowned for possessing the highly coveted Byakugan (白眼; Literally meaning "White Eye", Meaning (Viz) "All Seeing White Eye"), a kekkei genkai feared for the great visual prowess that it grants its wielder. The first ability of the Byakugan gives the user a near 360º field of vision, except for one blind spot at the back of the neck above the third thoracic vertebra. The second ability is being able to see through solid objects, and can use a degree of telescopic sight. The distance and the degree of telescopic sight varies from person to person, and can be improved. In Part I, Neji Hyūga was able to see an area of 50 metres, but later he increases his visual range to at least 800 metres, while Hinata Hyūga's range in Part II stretches at least as far as 10 km. However, the Byakugan cannot see through certain barriers, such as the Four Black Fog Battle Formation used by the Sound Four. The third and one of the greatest uses of the Byakugan is the ability to see chakra, its flow, as well as the chakra circulation system inside the body with great detail. A common Gentle Fist stance. Members of the clan are instructed in the use of the Gentle Fist style, which uses the Byakugan to view the opponent's Chakra Pathway System and deal precise blows to disable and impede the flow of chakra. Due to training in this style, Hyūga clan members tend to have excellent chakra control. This is emphasised in techniques that utilise this chakra control, as well as the nuances of the Gentle Fist Art. Because of this, the Gentle Fist is regarded as Konoha's strongest taijutsu style. It is said that this clan possesses more than one kekkei genkai, one of which grants them the ability to expel chakra from every tenketsu in their body, allowing them to fully utilise chakra with attacks such as the Eight Trigrams Palms Revolving Heaven and the Gentle Fist Art One Blow Body techniques. In addition, the clan's techniques outside the basic Gentle Fist fighting style, like the Eight Trigrams Sixty-Four Palms etc., are only allowed to be taught to members of the main house. Neji Hyūga, however, has bypassed this restriction by learning them on his own through simple observation, furthering his reputation as a "genius" within the clan. Founding- The Uchiha clan descended from the elder of the two sons of the Sage of the Six Paths. The elder brother inherited the Sage's "eyes", powerful chakra and spiritual abilities. When it came time for the Sage to choose a successor, he questioned the two on what course of action they would follow to bring order to the world. The elder believed that power was the way to bring peace, while the younger believed love was the way. The Sage favoured the ideal of the younger brother, and therefore designated the younger as his successor, causing the elder to be filled with jealousy and hate. From this hate came what Tobi calls the Curse of Hatred (憎しみの呪い, Nikushimi no Noroi). From the younger son descended the Senju clan who would be the eternal rivals of the Uchiha. Before the founding of the ninja villages, the Uchiha were one of the many mercenary clans for hire. Because of their Sharingan as well as battle prowess, the Uchiha clan came to be known as one of the two strongest clans, the other being the Senju clan. 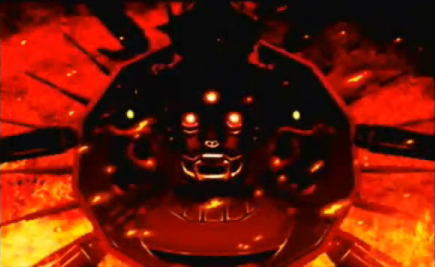 Madara Uchiha was particularly powerful, and, upon attaining the Mangekyō Sharingan, he took control of the clan. Under his leadership the Uchiha grew stronger, conquering whatever clans they came upon, such that, whenever the Uchiha clan was hired for a job, the opposing side would hire the Senju, and vice versa. Founding of the Hidden leaf- The Senju clan grew tired of the endless fighting, and approached the Uchiha clan with a peace treaty. Madara feared that an alliance would ruin the Uchiha, but his clan disagreed, and he was forced to accept the treaty. The two clans came together to form Konoha, with Hashirama Senju, leader of the Senju clan, being selected as Hokage. Madara believed that this was proof that the Uchiha would be made subservient to the Senju, but his clan saw this only as his attempt to rekindle the flames of war. They turned their backs on him, and he defected. Following Madara's betrayal, the Second Hokage gave the Uchiha control of the Konoha Military Police Force as a sign of trust. According to Tobi, this was really just a way of keeping the Uchiha in check and out of Konoha's governing affairs. Over the years, some Uchiha, such as Setsuna, have figured out this motive's true meaning, and tried to rebel against the village as Madara did, but they found that it was too late to make a difference, as the Senju had already completely suppressed the Uchiha. Massacre- Years later, after the Nine-Tails' Attack on Konoha, Konoha began to suspect that an Uchiha was behind the attack because of their ability to control the Nine-Tails with their Sharingan. Tobi stated that the clan was forced to live in a corner of the village, ostracised from the rest of the community, and placed under heavy surveillance. This gave birth to ill-will amongst the clan and the Uchiha interpreted this as confirmation of what Madara had warned them of years earlier, and began to plan overthrowing the village. Itachi disagreed with his father who was the then leader of the clan and militia Fugaku's coup d'état plan, and informed Konoha's leadership of what the Uchiha were up to. Shisui Uchiha, who had been told to keep an eye on his best friend Itachi also disagreed with the clan's plan and joined Itachi in his mission to put a stop to it. He attempted to used the ability of his Mangekyō Sharingan: Kotoamatsukami to stop them, but once again, Danzō, determined to protect the village the only way he saw possible, stole Shisui's right eye from him. After this, Shisui met with Itachi and saddened that he had failed to stop the clan, gave Itachi his left eye before Danzō came after it as well, telling him to protect the village and the name of the Uchiha. The Third Hokage, Hiruzen Sarutobi who had disagreed with the treatment the Uchiha were receiving, tried to negotiate for a more peaceful solution, but as time passed and that strategy seemed to be getting them nowhere, Danzō took matters into his own hands and inveigled Itachi to commit the genocide with threat of his clan's actions creating another war and innocent children, such as his little brother, becoming a casualty. Within one night, the entire clan was slaughtered with only one Uchiha left alive: Itachi's younger brother, Sasuke. Sasuke would spend the next few years trying to avenge their family by killing Itachi, something Itachi had planned from the very beginning. After accomplishing this goal, Sasuke learned of Tobi's existence. Tobi, who is in fact Obito Uchiha, another survivor of the clan who was also the one behind the Nine-Tails' attack, told Sasuke about the Uchiha's history and why Itachi had wiped out the Uchiha, prompting Sasuke, with Tobi's help, to resolve to destroy Konoha. Sasuke would later be shown the truth by Itachi himself after he was reincarnated. The Uchiha were famous for their powerful chakra, exceptionally strong techniques, and natural aptitude for anything combat-related. The clan possessed an innate aptitude for Fire Release nature transformation, with even the youngest of members able to use it from just observation. As such they have created several and use this nature transformation more skilfully than any other. Their signature technique was the Fire Release: Great Fireball Technique. Clan members were not recognised as adults by the rest of the clan until they could successfully use this technique. The Uchiha were also highly known for their mastery of ninja tools. They themselves invented many shuriken move sets which required the use of thin metal wires, one example being the Windmill Triple Blades technique. They were apparently also somewhat skilled in barrier ninjutsu, having created the Uchiha Flame Battle Encampment which, still holding to their natural affinity for fire, created a barrier that burned whatever came in contact with it. The Uchiha clan were most feared for their powerful Sharingan, a kekkei genkai which gives them the ability to see the "colours" of chakra, allowing them to analyse and copy their opponent's skills, along with a number of other abilities. Only a select few members of the Uchiha clan manifested the Sharingan. Due to their natural affinity for battle, and their proficiency with ocular genjutsu, many ninjas considered it more tactically favourable to flee rather than face an Uchiha shinobi in one-on-one combat. Among the techniques granted by the Sharingan, the Izanagi and Izanami are deemed to be forbidden, due to their effect of rendering the user blind in exchange for creating genjutsu capable of escaping death or trapping the opponent without failure. Though the clan was feared for their Sharingan, the eyes have also been transplanted into various characters outside the clan. Madara and Izuna were the first two Uchiha to awaken an advanced form of the Sharingan known as the Mangekyō Sharingan, which can be activated by the pain of losing close friends or family members. However, frequent use of the Mangekyō Sharingan deteriorates the user's eyesight and results in blindness. Only by taking the eyes of a sibling can one's vision be restored, a process that results in the creation of an Eternal Mangekyō Sharingan (永遠の万華鏡写輪眼, Eien no Mangekyō Sharingan). Itachi indicated that the intricacies of the Mangekyō Sharingan were only discovered after decades of trial and error, implying that many Uchiha throughout history had made the attempt to gain the Mangekyō Sharingan. The clan members may also carry additional insects in jars or gourds with them on missions. The insects can leave and enter their host's body through various pores. They feed on chakra as a food source, making them quite deadly. The relationship between the shinobi and the insects is mutually beneficial. The host grants the insects shelter and allows them to feed off their chakra, their body becoming a living hive of tens of thousands of these insects, and in return the insects do the user's bidding, allowing the shinobi to perform ninjutsu-like techniques without the use of hand seals or chakra conversion. A major defining trait of the Aburame clan is that all of its known members' eyes are obscured usually by glasses, as well as they wear clothing that usually cover up most of their body. A female insect can be left on a target, which then can be tracked by smell by the male insect, or scout insects can be sent out and return to tell the host information about the area. For this reason, Aburame clan members are experts in espionage; they can communicate with the insects, and the insects specialise in stealth because they make no noise or motion during combat. In addition to utilising insects in battle, the Aburame clan also studies insects. In the anime it was shown that they were rivals of the Kamizuru, a clan of bee users, until they defeated them in battle. Even though their insect-related techniques are known only amongst the clan, a select few possess a special type of insect that is rare even among the clan's members. To date, only Shikuro and Torune are known to possess it. It has also been shown that they possess the ability to communicate with other bugs and insects, as seen when Shino used what looked like a bee to gather information for him during the Chūnin Exams, and later when Muta asked some worms to investigate what was happening below ground during a reconnaissance mission. The members are given their own canine partner(s) when they reach a certain age. Thereafter, the shinobi and their dog(s) are practically inseparable. The shinobi and canine allies fight using collaboration jutsu, such as the Fang Passing Fang or Fang Rotating Fang techniques amongst others, that take advantage of their teamwork and their sharp claws and teeth. The clan members are also able to communicate with canines even if unlike Kuromaru, the dogs cannot talk. The members of this clan, much like their canine partners, have greatly enhanced senses especially the sense of smell. By concentrating chakra to their noses, this sense is amplified to an even greater extent allowing the user to be able to detect, track and monitor targets from fairly long distance away. The clan's fighting style primarily revolves around their enhanced speed, strength and agility granted by the Four Legs Technique and other canine-based attacks, in conjunction with the tactical advantages granted by their heightened senses. The Kaguya clan (かぐや一族, Kaguya Ichizoku) is a now extinct clan, known to have been very barbaric. Select few, namely Kimimaro, possessed the kekkei genkai Shikotsumyaku; this ability was so powerful that even the war-loving Kaguya clan feared it. With the exception of Kimimaro, the clan was killed off when attacking Kirigakure in a failed attempt to show off their ferocity. The clan was very savage and had no tactics when going to battle, and refused to back down even when surrounded and completely outmatched, preferring to fight to the death for fun. Kimimaro would for years live as the last member of the Kaguya clan, but eventually died of a terminal disease. Apparently, the members who possess the Shikotsumyaku abilities have a different body structure than others, as when Kimimaro was fatally ill, Kabuto Yakushi claimed there had been too little information on his body to give any medical treatment. Members of this clan were very knowledgeable in the art of fūinjutsu, and were both respected and feared worldwide because of it. This however, eventually led to the destruction of Uzushiogakure and the rest of the Land of Whirlpools during the era of Shinobi World Wars as others had begun to see the village as too great a threat. With the destruction of their homeland, the survivors fled the country and went into hiding, scattered all around the world. The members of this clan possessed both incredible longevity and life force. Their longevity can be seen in part through Mito, who lived from long before the founding of Konoha, to well into the term of the Third Hokage's reign. The clan's life force was the reason Kushina survived the extraction of her tailed beast, despite additionally just giving birth only moments before, though she was left severely weakened. The Yuki clan (雪一族, Yuki Ichizoku) lived in the Land of Water. Some time ago, the country was in the midst of a civil war. In this war, different sides battled each other using ninja, some of whom possessed kekkei genkai. After the war ended, memories of the horrific battles still lingered in the minds of the people, causing wide-spread persecutions against those with kekkei genkai. Because of this, the Yuki clan, whose members carried the Ice Release kekkei genkai went into hiding. Haku and his mother, now both deceased, were the only known members of this clan. What happened to the rest of the clan is unknown, but it is assumed that they were either killed or, like Haku's mother, went to live peaceful lives living as normal people, without revealing their bloodline. Memories of the clan still linger, its members and kekkei genkai being called "cursed" even during the Fourth Shinobi World War. Baisc ice techniques but shall be listed with the other Jutsu. The Senju clan descended from the younger of the two sons of the Sage of the Six Paths who was born with the "body" of the Sage, inheriting his father's strength of will and physical energy and believed that love was the key to bringing peace to the world. The Sage grew to favour the ideals of his younger son over those of his older son, who believed that power alone was the true key to finding peace. Therefore, on his deathbed it was the younger of the two brothers that the Sage chose to name as his successor. The elder brother, bitter and hateful at having being denied what he felt was rightfully his to inherit, attacked his younger sibling. The Uchiha clan would descend from the elder brother, resulting in the bitter centuries-long rivalry between the Senju and the Uchiha. The Senju clan gained their fame in the era before the founding of the hidden villages. Where other clans focused on mastering one particular skill, the Senju were prodigious in all skills, from ninjutsu, to taijutsu, to genjutsu. Because of this, they were known as "the clan with a thousand skills" (「千の手を持つ一族」, "sen no te o motsu ichizoku"), which gave them their name "Senju" (千手, "a thousand skills", "a thousand hands"). The most famous member of the clan was their leader, Hashirama Senju. His unique Wood Release ninjutsu even gave the clan the nickname the Senju clan of the forest (森の千手一族, Mori no Senju Ichizoku). This Wood Release, and his ability to control the tailed beasts, made him the greatest shinobi of his time. The Senju's place at the top of the shinobi world was undisputed, but there was one clan that was able to stand up to them: the Uchiha clan. Whenever one country hired the Senju, their enemies would hire the Uchiha, and vice versa. This led to a rivalry between the two clans and, more specifically, between the leaders of the clans, Hashirama and Madara Uchiha. However, in a world of constant bloodshed, Hashirama had a dream of peace, and a great love for his fellow men. Known as the "Will of Fire" (火の意志, "Hi no Ishi"), this belief made the Senju clan propose a truce to the Uchiha clan. Weary of fighting, and persuaded by Hashirama's great charisma and negotiation skill, the Uchiha accepted, ending their bloody rivalry. Only Madara was against this truce, believing the Senju would one day destroy the Uchiha clan. He was forced to accept, but his humiliation wouldn't end there. Some time after the alliance between the Senju and the Uchiha was signed, the Land of Fire hired them to stabilise its borders, and the clans created a permanent settlement within the country. Thus, Konohagakure was founded, and, with it, the system of one Hidden Village per country. As the system spread throughout the world, the constant violence stopped, and Hashirama's dream began to become a reality. But it would soon start again after Hashirama was elected as the First Hokage; a move Madara felt was a humiliation and made him decide to leave the new village, eventually returning to attack it. Throughout the years, the Senju retained their supremacy over Konoha, and made the village into what it is today. After the First Hokage's death, his younger brother, Tobirama Senju, stepped up to become the Second Hokage. Although likely not a Senju by blood, Hiruzen Sarutobi, who would become the Third Hokage after the Second's death, was trained by both the First and Second. His successor, Minato Namikaze, was the student of Jiraiya, who was a student of the Third. Tsunade, the Fifth Hokage, was not only a student of the Third, but also the granddaughter of the First and the grandniece of the Second. All of them strongly held to the Will of Fire philosophy. It is unknown if the Senju clan still exists as an independent clan since there are no known persons with the Senju name alive — with the Fifth Hokage, Tsunade, being the only possible exception to date. It is very possible that the Senju clan disbanded into smaller clans and families, especially since they never had specific traits or techniques like the Uchiha or Hyūga clans with which to easily identify them. Their legacy however, lives on strongly in the hearts of the people of Konoha. The Hagoromo clan is one of the earlier clans which existed during the war-torn era preceding the creation of the hidden villages. While not a great deal is known about them, they were one of the warring factions alongside the Uchiha clan to oppose the Senju clan in battle. During their initial meeting with one another by a riverside, Hashirama Senju and Madara Uchiha discovered the body of a member of this clan, face-down in the river. No known jutsu is listed personally for this clan.